Opthea (ASX:OPT), a late-stage biopharmaceutical company developing novel biologic therapies to treat back-of-the eye diseases, has reached the mid-way point of patient recruitment for its Phase 2b clinical trial of OPT-302 in wet age-related macular degeneration (wet AMD) patients. The company said it remains on-track to report primary data from the study in early 2020. A total of 176 patients have been enrolled into the Phase 2b trial, representing half of the total 351 patients planned for the study, said the company. The Phase 2b study is designed to determine if OPT-302, a VEGFC/D inhibitor, improves visual acuity and anatomical parameters, such as retinal fluid and thickness, in patients receiving standard of care anti-VEGF-A therapy for wet AMD. “We are extremely pleased with the progress of this important Phase 2b clinical trial. The rate of patient participation in the study is testament to the need for new combination therapies that may offer additional clinical benefit to patients over and above standard of care anti-VEGF-A therapy," said CEO and managing director Dr Megan Baldwin. The double-masked Phase 2b clinical study is enrolling treatment-naive patients randomised in a 1:1:1 ratio to each of three treatment groups to investigate the clinical efficacy and safety of OPT-302 administered at 0.5 mg or 2.0 mg in combination with Novartis' LUCENTIS (ranibizumab, 0.5 mg) compared to LUCENTIS (0.5 mg) alone. Patients randomised to the LUCENTIS alone group will also receive a sham injection to mask the patient to the treatment group. 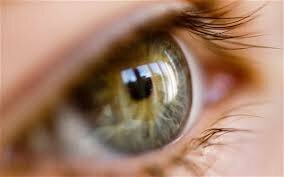 Treatments will be administered on a monthly basis for 6 months via intravitreal (ocular) injection. “This trial, together with our ongoing Phase 1b/2a study in diabetic macular edema, represent important clinical programs for the company as they each address diseases for which there is a significant unmet medical need and commercial opportunity,” added Dr Baldwin.